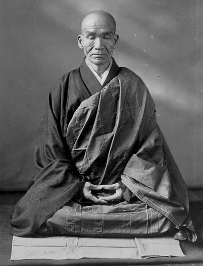 "Why must it be left palm over the right palm﻿ in sitting meditation? What would happen if we were to do it right palm over the left? Thank u." 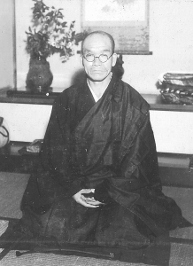 "Basically, we do it that way because it's written in 普勧坐禅儀 (fukanzazengi) by Dogen. We regard keeping up a tradition as it is very important to Zen. Also, from my experience, I feel the human body structure is asymmetrical. 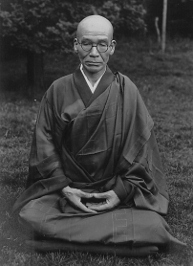 The tradition has a specific way for the body movements﻿ to accompany the working of nature. Why is a track field always counterclockwise? Surely, it can be made to run clockwise. You can feel a different flow of power when you change it." Now, although I love the video and everything, I have my problems with this answer. 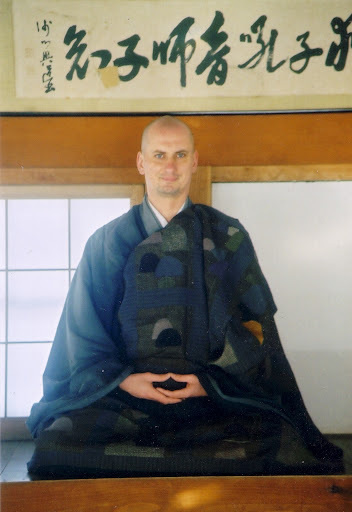 Valueing tradition is fine of course, especially when you are living in a traditional Japanese monastery (and Seigaku was trained in Eiheiji, the most traditional monastery in all of Japan). 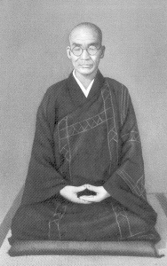 But Seigaku seems to suggest that it is somehow natural for us human beings to place the left hand on top of the right hand during zazen. He is even talking about a "flow of power". But, as I explained in the November/December issue of 2008, I do not think that such a flow of power really exists. The left side is just as natural as the right side. 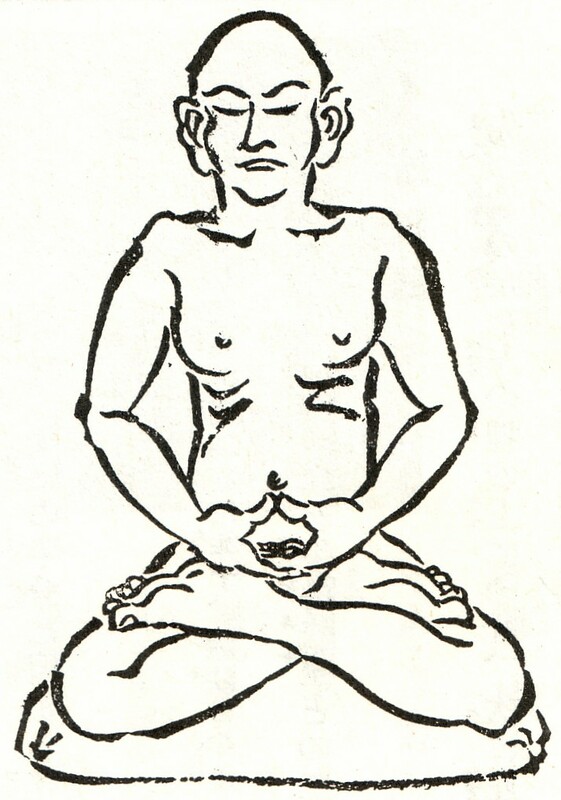 Otherwise, why would Indian practioners or Buddhist monks from the Theravada tradition place the right hand on top? It should feel "un-natrual" for them, shouldn't it? Ironically, the reason for people from Southern Asia to place the right hand on top is the same as the one Seigaku gives for placing the left hand on top: Tradition! Of course, placing the left hand on top of the right hand somehow "feels different" from placing the right hand on top of the left hand. At least that is what I experienced after twenty years of placing the left hand on top of the right hand, before experimenting for the first time with the opposite, "Indian" style hand positon. 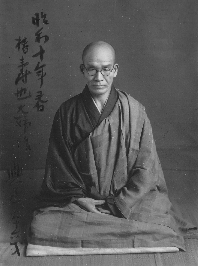 Place your right hand on your left leg and your left hand on your right palm, thumb-tips lightly touching, Dogen says in the Fukanzazengi, but actually that is easier said than done. 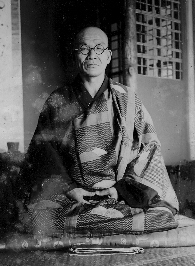 Even the posture of someone like Sawaki Roshi was not perfect. If you have a close look at these pictures, you will notice that in many of them, especially after he got older, the thumbs are placed about an inch to the right of his navel. Also, the shape that the thumbs form varies. 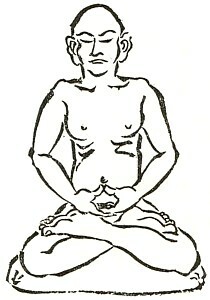 In the picture from his first book "Zendan" which was published in the 1930s, the thumbs clearly form a mountain shape. That is also the case for the illustrations from that same book on the left and right. It is interesting also that it seems Sawaki Roshi never took off his glasses during zazen, except for that one very famous shot from all four sides. Another point that might be worth mentioning is the exact positon of the thumbs in relation to the navel. The Shobogenzo Zazengi goes into a little more detail than the Fukanzazengi quote we saw above. 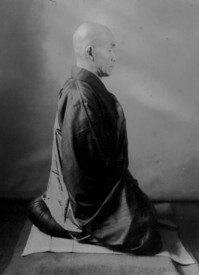 Here is the Zazengi: Place your right hand on your left foot. And your left hand on your right hand palm. The tips of your thumbs should be lightly touching. 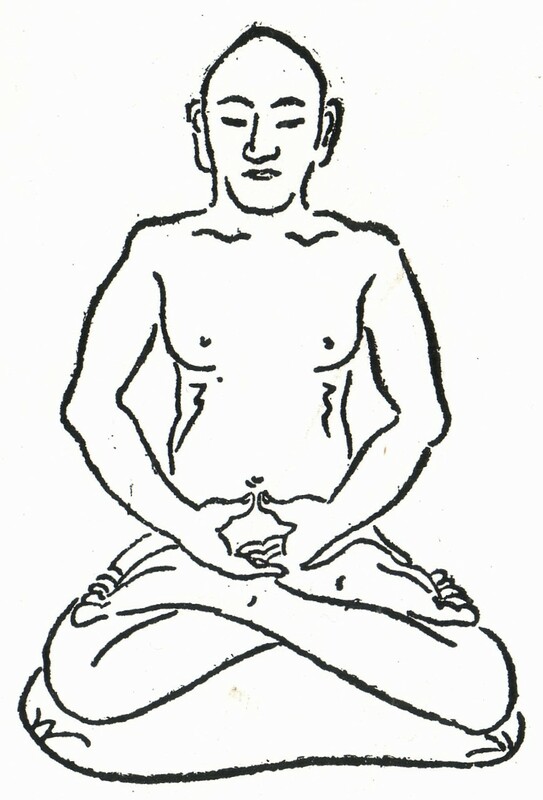 Position both your hands as above, and put them close to your body. The tips of your thumbs should be aligned with your navel. The question is: How close should the thumbs be to the body, and what exactly does it mean that the thumbs should be "aligned" with the navel? Normally, you do not have to do that. Just sit and let go. Be open to the 360 degerees of your awareness. 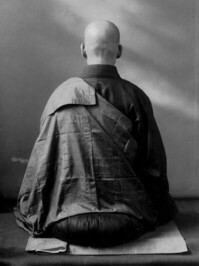 Let the whole landscape of zazen in, without trying to touch or change any one thing. But: That is not so easy, especially in the beginning. Lots of people have trouble staying grounded in a stable position of body and mind. Re-adjusting the physical posture can help. Putting the mind in one spot can help as well. 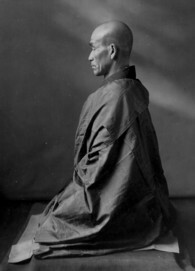 Keizan Zenji, in his Zazenyojinki, mentions the feet, the navel, the left hand, the top of the scull and the tip of the nose as examples of physical spots were one can put the mind to readjust one's body-mind condition. As a rule of thumb: The higher you place the mind, the more awake you become. 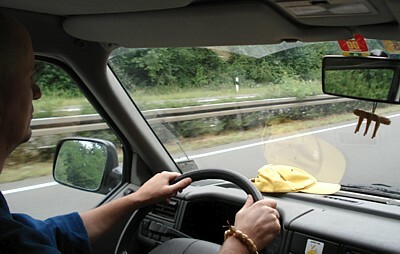 You become more agitated, which can also lead to nervousness and more thinking. Placing the mind in a lower postion helps to cool down, relax, get grounded. On the other hand, you might become dull, sleepy, unfocused. Now, in my experience working with the thumbs has the same effect. When you put them in a way so that their tips touch your navel (this is easy to do when you wear monks' robes, otherwise you can place a folded towel under the hands), first you can be sure that the thumbs are positioned in the exact center. 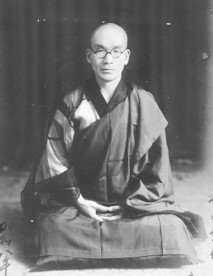 Second, your mind will also become centered, as long as it stays with the thumbs. 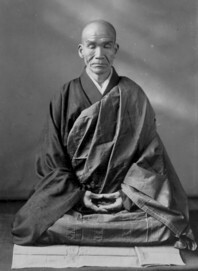 Third, you will realize when ever you were unconcentrated or slept during zazen. Actually, this is harder to realize than most people think. Because when you are asleep, you usually are not aware that you are asleep. 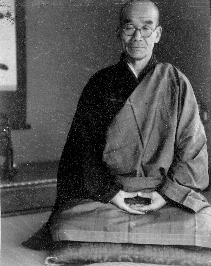 And when you return from your nap, most people think they were "in samadhi" or whatever, they do not realize they just were not aware. What happens with the tumbs when you sleep? They do not touch the navel anymore. 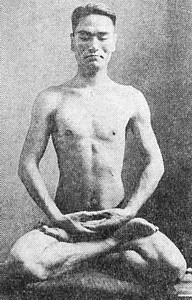 So whenever your mind returns to the thumbs and realizes that they have not stayed with the navel, it is a clear sign that you were unconcentrated, propably even sleeping. When did the thumbs move? How did it happen? Find out! So once more, working with the thumbs helps three things: Staying physically centered, staying mentally centered and staying awake. What could be a problem of concentrating on the thumbs? 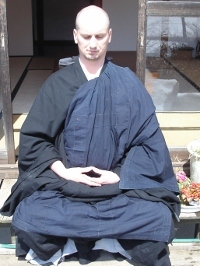 As said above, the aim of zazen is just sitting, is just letting go. Being open to everything. 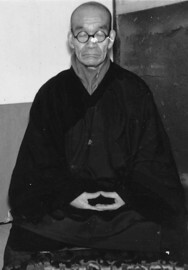 When you concentrate on the thumbs though, and only on the thumbs, it might help you with problems that you are encountering at the time during your practice (and therefore I have recommended it to some people), but in the long run, you should try to open up to the whole body-mind experience, including the whole posture, every breath, the whole field of vision, everything you hear, the smells, the flavour on your tongue, even the random thoughts you wish to supress. So much for today.